Have you ever thought why some homeowners manage to keep garage door parts in perfect condition for years and some often struggle with rust and similar problems? The answer is actually hidden in plain sight. It's just common sense that the right decisions will lead you in keeping components in excellent condition for years to come. Your decisions are important whether they are associated with the proper selection of garage door repair parts or their maintenance. In both cases, attention is required. What's the trick to keep components for long? Let's start from the beginning. Let's say you need new garage door tracks. How will you choose them? It's crucial to know that all parts must be chosen based on the door's weight. So, did you change the door since the last time you replaced the tracks? Apart from being of the right size, components must be of the right material. If you live in a high moisture area, getting zinc coated tracks will be ideal. You will avoid problems with erosion and tracks will last longer. When components are chosen with such criteria and they meet the demands of your own overhead door, they will last for long. Of course, they must be installed properly and maintained regularly. Proper installation will ensure that they will operate exactly as they are supposed to and won't burden one another. After all, if they are not installed right, the door will make noises or even bind. It's good to remember that all parts have a limited lifespan. Most of them will last for even decades but this is not always the case. 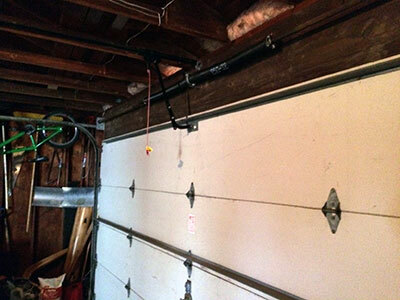 Garage door springs, for example, last for about six or seven years. Replacing parts before they start troubling you with problems is essential. It's equally crucial to maintain them in the meantime. Some people are under the impression that galvanized components won't need lubrication maintenance, for instance. This is a mistake. Remember that galvanized materials protect steel. With constant rubbing one with the other, galvanized parts will start to wear. The coating which protects steel will start cracking and once this is done, you will have the same problems as if the component wasn't galvanized. As a general rule, garage door maintenance and attention to such details will breathe life in your components and will allow them to last for long.